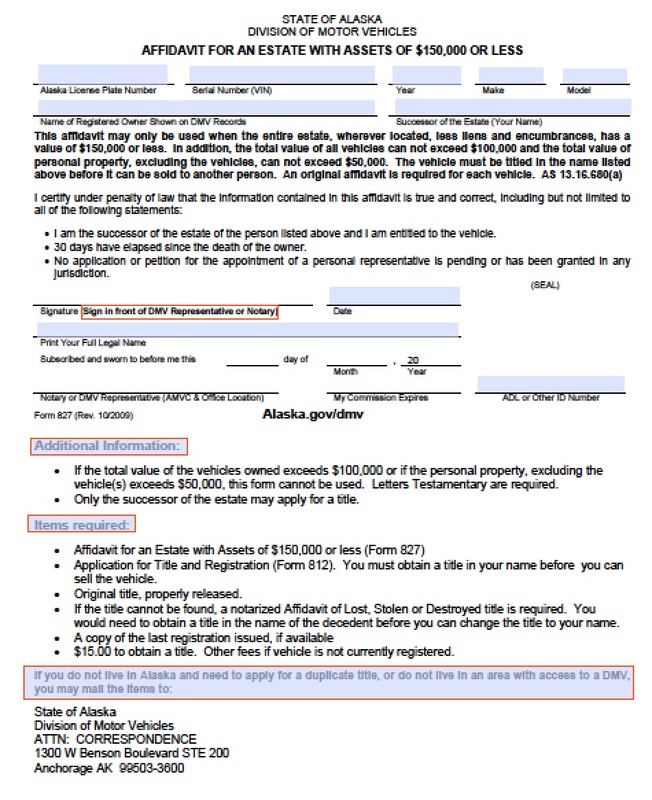 The Alaska small estate affidavit, also known as Form P-110, is a document used to make a claim on the assets of a decedent after all property has been dispersed to the family and the rightful heir(s). 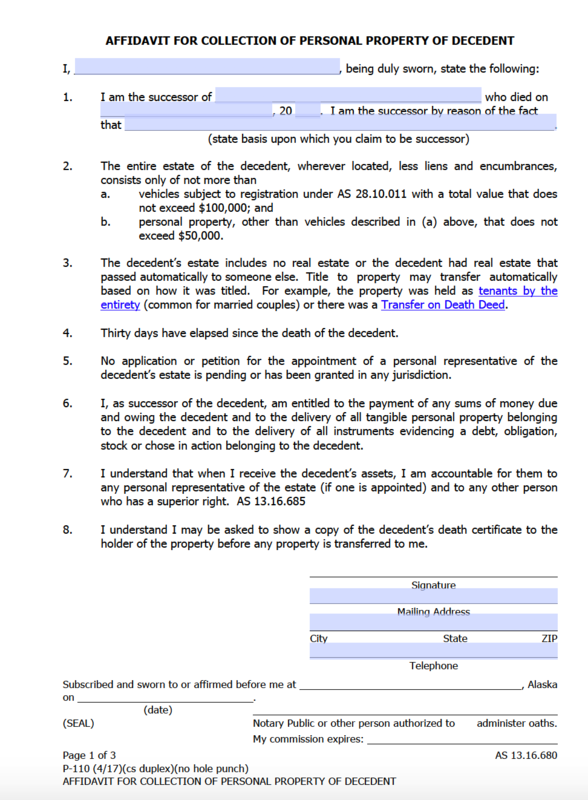 Sworn Statement Closing Small Estate (Form P-350) – After the Personal Representative has administered the property this form must be filed to close the case. Vehicle Transfer (Form P-827) – To be used to declare vehicles in the Small Estate. 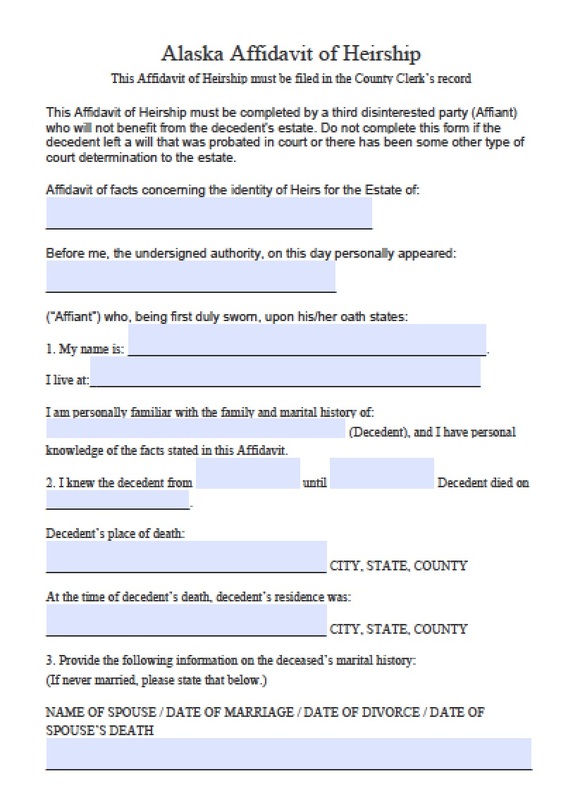 reasonable and necessary medical and hospital expenses of the decedent’s last illness.